The Landmark London is recruiting for a Revenue and Distribution Manager.<br><br>About the role<br><br>We are currently looking for a passionate Revenue and Distribution Manager, to join our Sales and Marketing department. This is a fantastic opportunity to join a friendly and welcoming team on a permanent basis, and help us to consistently deliver memorable moments and five star service to our guests and each other.<br><br>At The Landmark London, our purpose is to enrich the journeys of our people and our guests and as a Revenue and Distribution Manager, your main duties will include:<br><br>•	Utilise the revenue management systems and tools to ensure that revenue and profit are maximised.<br>•	Effectively maintain and monitor room availability and rates on each channel of distribution, ensuring rate parity is kept at all times. <br>•	Ensure the hotel is taking part in Leading Hotels of the World’s marketing programs and load these on GDS. <br>•	Open/close and change rates as well as restrictions on all channels outside the 30-day window. <br>•	Correctly and in a timely manner load corporate rates and group rates for Conventions on GDS and the hotel’s website when needed.<br>•	Extract and effectively utilise data from PMS for decision making processes for changes in rate or restrictions.<br>•	Develop and advise on the suitability of different rate structures within the hotel<br>•	Assist in the selection and design of appropriate advertising/marketing tools and programmes and to assist to measure their effectiveness.<br>•	Monitor and check the efficiency of our website and e marketing campaign<br>•	Manage a pre-determined number of on-line accounts, developing promotions and on-line marketing for need periods throughout the year. <br>•	Maintain relevant action plans and sale strategies for each account and ensure all information on all distribution channels is correct and regularly updated. <br>•	Proactively research potential new on-line accounts and partners, acting on all new e-commerce opportunities, achieving a pre-set volume of face-to-face sales appointments on a weekly/monthly basis. <br>•	Compile and execute monthly sales action plans with budgets as agreed with Director of Sales communicating any obstacles to completing action plans.<br><br>Benefits Package<br><br>Competitive salary <br><br>•	28 days paid holiday, including bank holidays<br>•	Increased holiday entitlement with length of service<br>•	Free dry cleaning for uniforms<br>•	Free meals whilst on duty <br>•	Free eye test vouchers<br>•	Health checks<br>•	Life assurance cover - death in service scheme<br>•	Long service awards<br>•	50% discount in our outlets (including sister properties)<br>•	Discounted Accommodation for team members and their friends & family (including sister properties)<br>•	Spa Treatment discounts (including sister properties)<br>•	Recommend a Friend bonus<br>•	Fitness Centre discounts<br>•	Season ticket loan<br>•	Cycle to work scheme<br>•	Childcare vouchers<br>•	Discretionary Hotel Sick Pay after 6 months of service<br>•	Employee Assistance Programme<br>•	Annual Staff Party<br>•	GEM Recognition Scheme<br>•	Sponsorship towards college course fees - conditions apply<br>•	The Landmark Choir<br><br>Who we are looking for<br><br>The ideal candidate for this position as Revenue and Distribution Manager will demonstrate the following company behaviours:<br><br>•Team Work: To effectively cooperate with team members in order to achieve shared goals together.<br>•Continuous Improvement: Continuously develop yourself and your team members, with a positive attitude and commitment to excellence.<br>•Drive for Results: Have insight in the organisation and its processes in order to be decisive and think on a strategic level in order to solve problems independently and efficiently. <br>•Role Model: The ability to develop yourself and others in order to inspire people, maintain integrity and manage people.<br><br>About the Company<br><br>The Landmark London is a proud member of the Leading Hotels of the World and has recently been recognised as one of the Sunday Times top 30 Best Companies to work for in the UK in 2018. <br>The Landmark London is a three-time winner of ‘Visit London's Best Hotel in London’ award and currently has been awarded with Platinum status in the ‘Investors in People’ accreditation. <br><br>We drive our business from the front line, with strong values and vision to support this. We empower our front line team to make decisions and value their input in the operations, with the guidance of Management and Executive teams.<br><br>If you feel this is the role for you, please apply today! 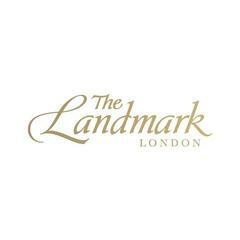 Sales & Marketing - The Landmark London is posting their hospitality jobs on Harri.